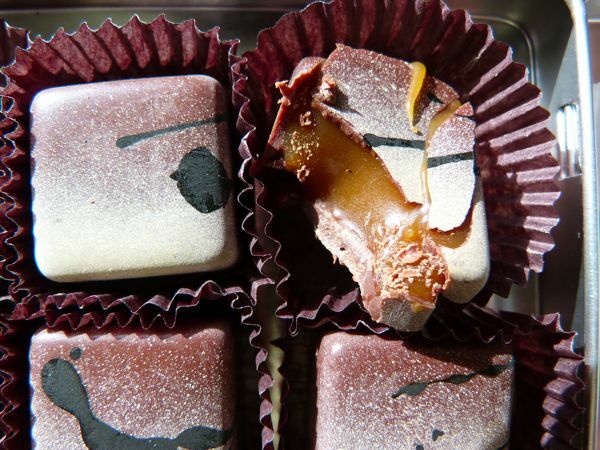 Today's wonderfully complex, Brown Butter Bourbon Caramels were crafted by a small-batch, bean-to-bar "workshop" -- Fruition Chocolate (Shokan, NY). 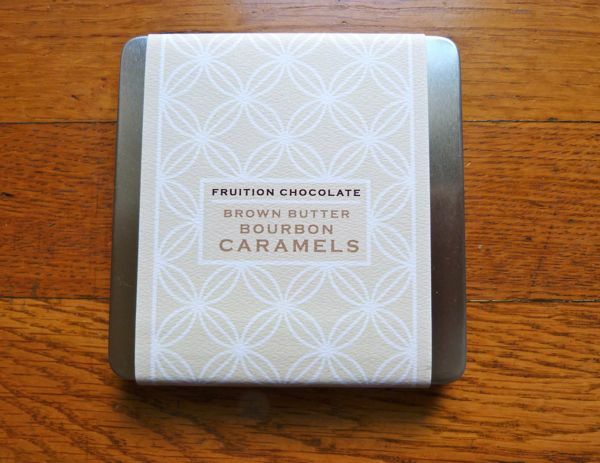 I used the word "complex," and by that I mean: overlapping layers of slightly smoky, coffee bean and bourbon flavor notes, infused into a rich, brown butter, caramel. 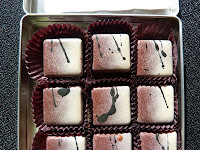 The 66% chocolate couverture was decorated with black and white airbrushed cocoa butter dibbles and dabbles, and contained a wonderful, soft caramel center. The chocolate was thick enough to prevent caramel "leaks" but not so thick as to seem overly candlewax-like (the occasional result if chocolate "walls" are made too thick to contain a precious or gooey center). 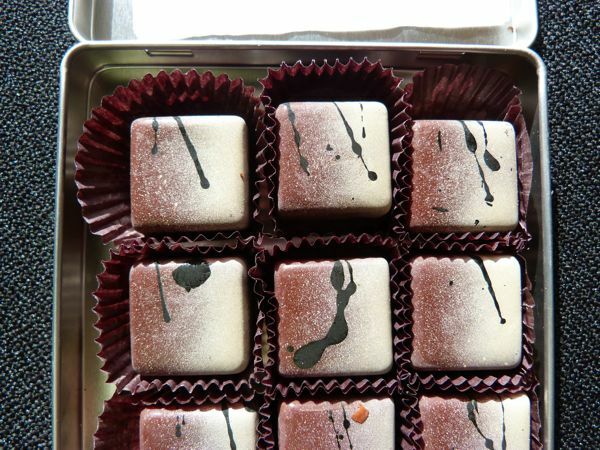 Founder Bryan Graham and team start with organic, fair trade cacao beans, that are roasted and stone-ground and eventually made into well executed bars and confections, most often using 66% cacao Peruvian chocolate. Today was Day #4 of Chocolate and Butter Theme Week.